"Groth made the final here in Nottingham in one of the Challengers a year ago, losing out only in two tie breaks to Nick Kyrgios, and he's already bagged the Manchester Challenger on grass this swing..."
The grass court tennis continues in week 25 of the ATP World Tour, with the last chance for tour level match play ahead of Wimbledon being the AEGON Open in Nottingham. This is a new event for the ATP World Tour, although it was on the calendar in years gone by and has been played as a Challenger in more recent times, but it's back for 2015 thanks to the extra week between the French Open and Wimbledon. Many of the clay courters are having a reluctant tune-up this week and unpicking this draw looks tricky, but we did really well last week with my [65.0] back-to-lay pick making the Queen's Club final. Kevin Anderson could have gone out in round one, but toughed it out (with a little help from Lleyton Hewitt) and will play the final on Sunday against either Andy Murray or Viktor Troicki. At the time of writing Anderson had been matched as short as [3.50] from that initial [65.0], so a very nice profit is the result of that one. There's no Anderson this week in Nottingham and there may not be a Troicki either after he took a tumble on Saturday and after two long weeks on grass I doubt he'll show here. That could open up his section of the draw and I like the odds on the out of form Denis Istomin here at [34.0] up against Nico Almagro, Sergiy Stakhovsky, Stevie Johnson and Juan Monaco. Away from Wimbledon Almagro has a 1-3 record on grass and if Istomin can beat the Spaniard I fancy him to do well at this level. Regular readers will know that I don't bet on Istomin in match betting as he's so hard to predict, but at [34.0] in this company I don't mind taking a chance a week before a major. The adjacent mini-section looks weak as well, with Jiri Vesely, Leo Mayer, Albert Ramos, James Ward and Tim Smyczek unlikely to go deep, while Hyeon Chung could be interesting at [200.0]. This is in top seed David Ferrer's half and the Spaniard has Marcos Baghdatis (who won this a year ago when it was a Challenger), Thomaz Bellucci, Martin Klizan, Adrian Mannarino, Aljaz Bedene, Simone Bolelli and Mikhail Kukushkin for company. I'm quite tempted by the [126.0] about Kukushkin here after a good showing last week in Halle and with Kazakhstan playing on grass soon in Davis Cup he should fancy getting some practice under his belt. The bottom half looks tougher, with Feli Lopez, Alexandr Dolgopolov, Andreas Seppi, Yen-Hsun Lu, Sam Querrey, Sam Groth, Vasek Pospisil, and Gilles Simon all possible winners. With this being so close to Wimbledon I don't like the idea of backing the high seeds and at [41.0] I like the price on big-serving Aussie Sam Groth in this half of the draw. 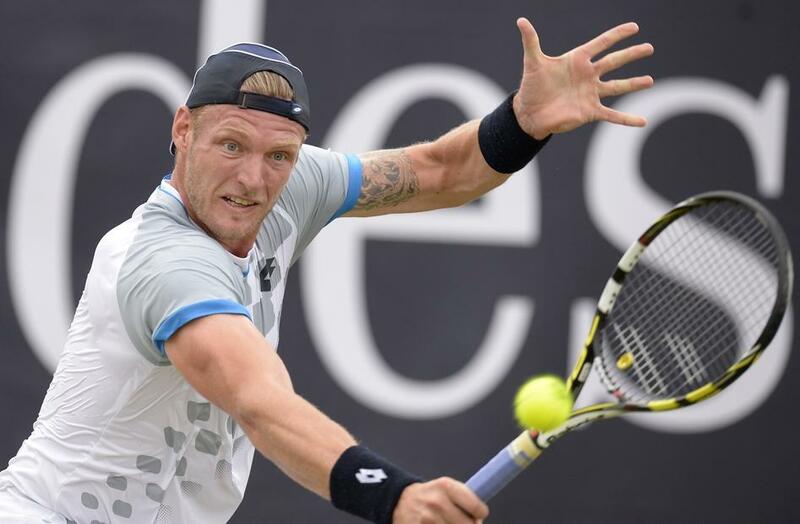 Groth made the final here in Nottingham in one of the Challengers a year ago, losing out only in two tie breaks to Nick Kyrgios, and he's already bagged the Manchester Challenger on grass this swing. The Aussie beat Lopez and Stakhovksy in Stuttgart before losing to the in-form Troicki and his price might start to look very big indeed if Simon decides either not to turn up or to tank it. I'm not convinced that Simon will fancy it this week after a tiring time at Queen's and unless Groth draws one of the tougher qualifiers his draw looks reasonable. The other thing to bear in mind this week is the weather and several matches have been moved indoors already, which adds another dimension to the players you might want to bet on. The top stars aren't going to fancy hanging around with Wimbledon starting next Monday and the forecast doesn't look rain-free for the coming week in Nottingham. Groth and Istomin and numerous others are yet to lift a tour level trophy and they should be the more likely to want to tough it out than the more established stars. Dolgopolov has the best of the draw, but I wouldn't trust him at [14.0] and I'd probably sooner take a chance on someone like Lu at [51.0] instead in that quarter, with the Chinese Taipei player having gone deep ahead of majors before. Querrey has a good shot on his best grass court form, but he's maybe a tad short at [17.0] in this particular week and I'm happy to take a couple of big-priced fancies against the field.